Working directly with the godfather, Steven Speilberg, was a dream come true. I grew up watching and studying his movies and having the opportunity to be at Amblin was surreal. Everything you’ve seen and read about the man is true, he’s just a really cool guy. 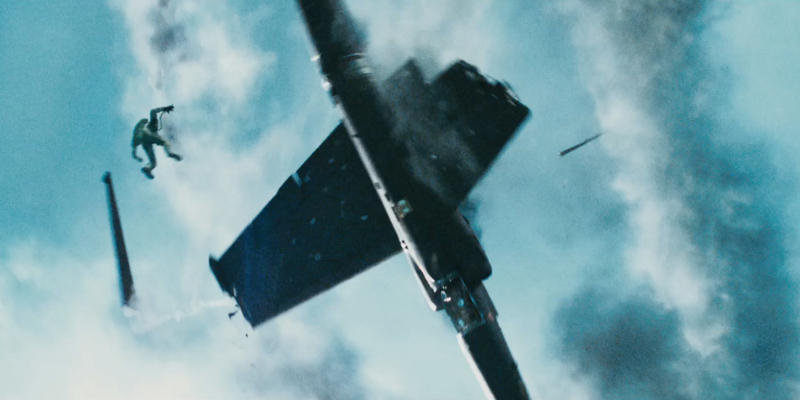 Bridge of Spies was a “smaller” movie for Steven (his words) but there was going to be this one big moment where the U2 plane is shot down. Steven wanted to showcase this harrowing moment full on from the pilots perspective. What you see in the sequence was designed, edited, and visualized nearly exactly as we planned it. The U2 plane was built and modeled in 3D based on real-world spec sheets and detailed photos of the actual plane. Once we had everything built, we sat down with SS and went through the actual legal testimony of what pilot Francis Gary Powers said happened. We pieced the scene together carefully, moment by moment. Special attention was paid to all aspects like plane speed, height, and physics. The result is an accurate recreation of what is believed to have happened on May 1st, 1960 over Soviet airspace.